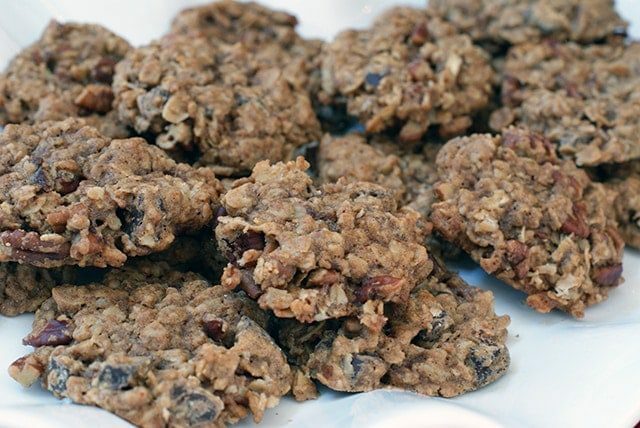 Looking for a “healthier” Christmas cookie that doesn’t sacrifice taste in the process? This is the one! In a large bowl, beat the butter and sugar until light and creamy. Add vanilla extract and eggs and beat until well combined. In a separate bowl, mix flour, oats, baking soda, cinnamon and salt. Add the dry ingredients to the wet ingredients and stir until just combined. 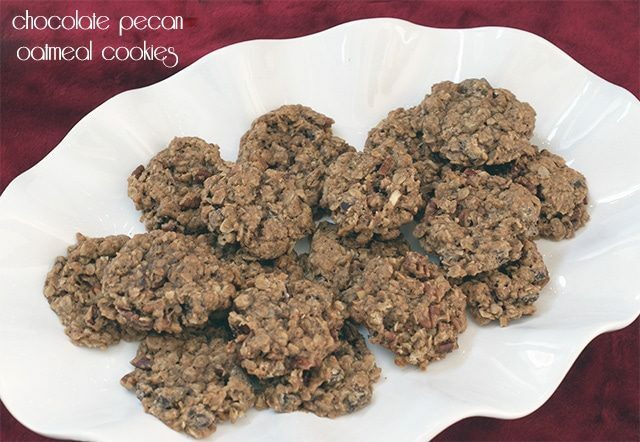 Gently mix in chocolate chunks and pecans. Drop dough by rounded tablespoon onto a prepared cookie sheet or pan. Bake for 10-12 minutes until they begin to brown. Remove from oven and cool for 5 minutes before transferring to a cooling rack. 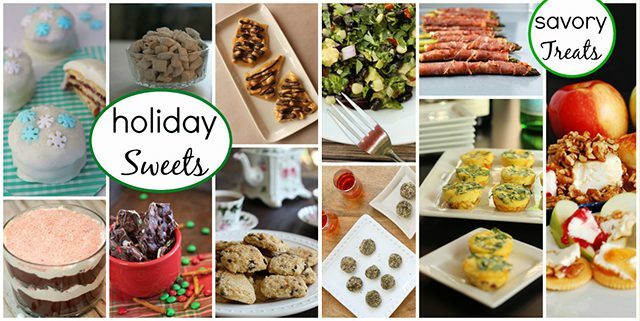 Today I’m also excited to share with you a fun collection of Holiday Sweets & Savory Treats from some of my favorite bloggers. You are sure to find a few new favorite recipes here, so be sure to pin this post so you can find it later as well! These look FANTASTIC! I’ve never used coconut sugar but it sure sounds like a delicious ingredient. And you can’t go wrong with dark chocolate. 🙂 Thanks for sharing this recipe. I love King Arthur products and love that these are a healthier type holiday cookie! And chocolate and pecans always go great together.